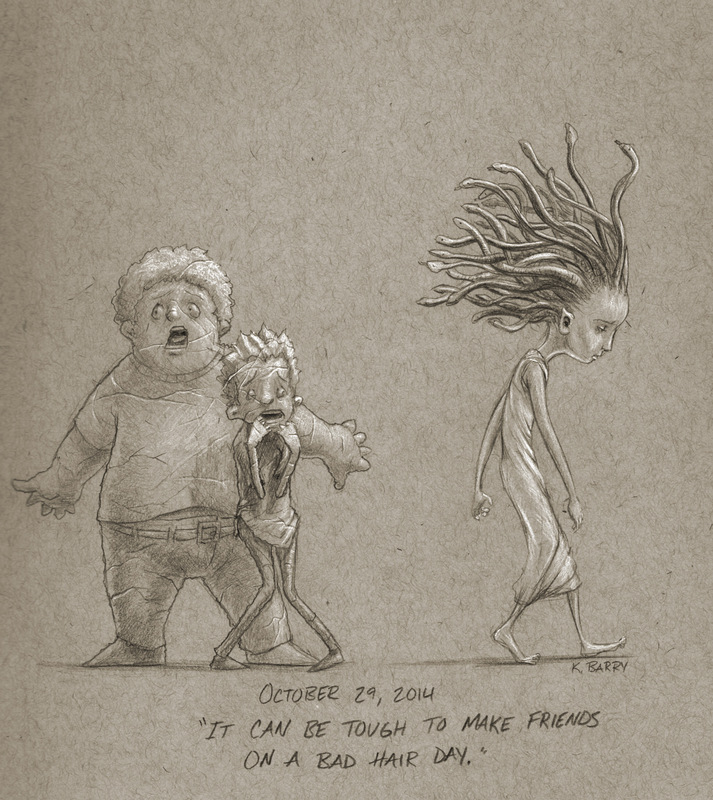 This entry was posted in Uncategorized and tagged 31 monsters, art, drawing, halloween, illustration, Monster, october, pencil, sketch, sketching by madeoflines. Bookmark the permalink. Aw, my poor daughter just started high school with hair like that. It’s a tough row to hoe.